There are various tutorials out there on how to use Maxima; this one is designed to focus on its use for circuit analysis; i.e. 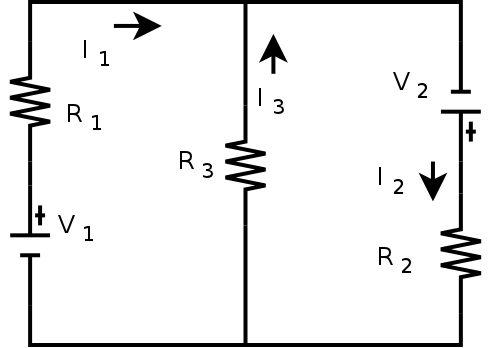 lots of use of Kirchhoff's Laws, and including complex numbers for AC analysis with capacitors and inductors. 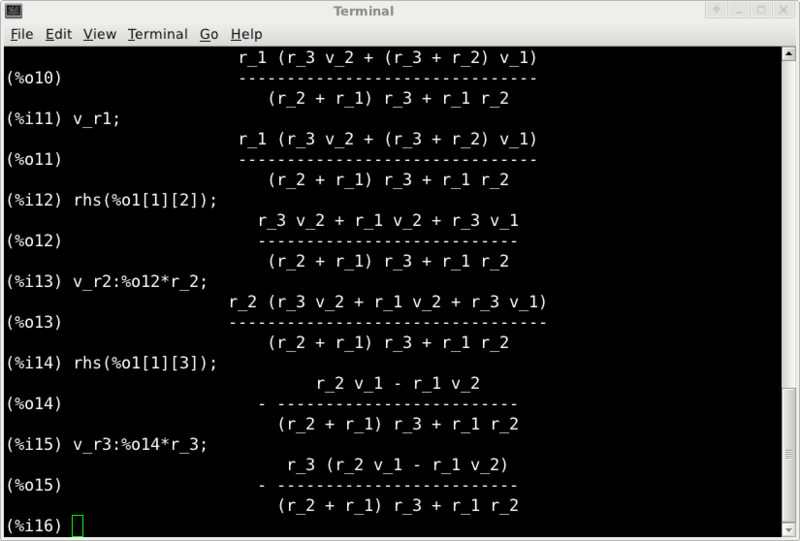 The solve command usually gives a set of solutions to a single function, so by making the set of equations into a vector, then the solution becomes a single vector. This looks much the same, although if you look closely you'll see one level of brackets is gone. That's because we're now looking at the first solution, which happens to be the only one in this case. Note that as soon as we use scientific notation, values become non-integer. This may look odd at first, but realize that the right hand side of the equation gives the value of VR1. since we defined VR1 as a variable in %i4.